Spied: Triumph 250cc Spotted Testing-India Bound In 2015 In 2 Versions? Triumph made its India foray by launching their line-up for India on the 28th of November. But you might be interested in knowing that Triumph has been working all-along on a new 250cc entry level sport bike. It has been spotted testing and is expected to be launched in India in 2015 and maybe Europe and US. It will be manufactured in India at Triumph’s Narsapura facility for global and emerging markets. It will be a single cylinder, producing around 25 Bhp and will compete against the likes of the CBR250R. These are amongst the first clear pictures of the new 250. It has a twin headlamp setup and a full fairing, this is bound to appeal to the Indian enthusiasts looking for a fully faired motorcycle. Step-up seat, grab rails for pillion, 5-spoke alloy wheels, single disc setup for the front tyre and rear. New Triumph 250cc might also be available in a naked version with its design inspired by the street triple. From the initial looks of it, it has a slightly aggressive front styling and these prototypes featured here look quite good! The Triumph range currently starts from 9300 USD ex-showroom for the Bonneville. Hopefully this 250cc will come at a price that will give the CBR250R a run for its money! Sporty design, good ergonomics for day to day use, excellent engine performance combined with top notch handling prowess have the potential to make it one of the best 250cc in the market. However, only time will tell if Triumph can deliver on all these fronts. Triumph makes some of the best motorcycles and they have a long legacy for building great motorcycles. Here’s a short video to give you an idea of what the company represents and all that it brings to you in terms of sheer pleasure of motorcycling. It’s that time of year, when all the manufacturers drop their new models … like this hot-rodded FZ-09 from Yamaha. With the big guns all having fired their loads at Milan’s EICMA show this week, we thought it would be a good time to take a look at what was released and what that tells us about the industry. Since we’re all huge fans of smaller displacement rides here at CMG, the continued growth and evolution of this segment is good to see. But, it seems we’re already seeing a shift up in CCs with Honda unveiling their new CBR300 which we assume will come to Canada (though it is yet to be confirmed) and so push out the 250. You can blame the increase in size on Kawasaki, who cunningly refused to hit back at Honda in the 250 fight, instead making their own new category, the 300, with the launch of the Ninja 300 earlier this year. Obviously Honda seems to think that this is where it’s at with their CBR300 move. But, will big-boring their single-cylinder to 286 cc and changing the bodywork be enough to take on the twin Ninja? MSRP is still to be released, and we suspect that is where you’ll see the Honda attack. If they can keep MSRP difference to about $800 with performance at least close to the Ninja, then we’d have a real fight on our hands. Here’s Honda’s CBR300, a shot over the bow of the Kawasaki Ninja 300. The KTM RC390 splits the difference between the 250 class and the 500 class. KTM has maybe made the biggest splash in this market with a trio of new small capacity sport bikes. These include a race-styled RC125, RC200 and RC390 and although we very much doubt all three will appear here, we’re betting that at least the 390 will (and maybe the 390 Duke naked bike as well). After all, it was KTM’s Canadian importer who accidentally posted info of the 390 last week and took all the thunder out of its intended EICMA launch. This move effectively splits the 300 and 500 class down the middle. It’s also going to add a lot of spice to smaller bikes as KTM is a dominant power in the Moto 3 (250 class) world racing series, so they know how to get a lot of power out of a small bike. Don’t expect it to be priced to compete with the CBR and Ninjas though. Triumph introduced a few new big models, like this Commander, but they are also working on a 250. Let’s not forget Triumph. Up ’til now, they seemed to believe bigger was better, reinforced with its presentation of new Thunderbird models at EICMA. But then up popped a slide of their new 250 Daytona. Okay, it was only a sketch, but apparently the motor is in the metal and they seem to think that they have to let everyone know it’s coming at this early stage, so we should see something around this time next year (although it may be a 300 or 39o by then!). Yamaha’s introduced their SR400 to western markets again. Oh, and can you add Yamaha’s SR 400 to this fray? We think so, especially since it’s a bike that has effectively been around since the seventies and so likely comparable or slightly lower power than any of the others. The interesting thing about the SR is that it’s a real retro small bike (even going so far as to only have a kick starter with no electric boot to help) and so likely will be in a class of its own. Judging by the responses to it on the CMG comments section, if Yamaha do decide to bring it here and don’t knobble it with an unrealistically high price, Canada’s streets should have a lot of SRs booting about in the near future. If we hadn’t seen the leaks about the new Harley 500 and 750s, then they’d have stolen the show, representing the first all new bikes to come out of Milwaukee since the V-Rod hit the scene back in 2001.The new bikes are actually made in India at Harley’s new plant, only to be shipped and assembled in Milwaukee, to keep some Made in America aspect. Whether this is enough for the faithful remains to be seen, but it can be argued that these bikes are not aimed at the faithful anyway, but instead a sensible move by the Motor Company to start people off on their machines rather than try and convert them once they’ve already begun. This Hog – or is that a Piglet? – is Harley-Davidson’s first all-new model since the V-Rod. Styling cues seem about right and Harley-Davidson even released a sound file so you can hear the potato-potato sound that is a defining attribute to the brand. It remains to be seen whether they will replace the 883 Sportster or whether the riding public will embrace the new Indian angle. Who knows, maybe it’s a cunning plan to piggyback on the new Indians that are coming from Polaris, though those are made in the US of course? The new CBR650F is a return to practical sport bikes. Honda have continued on its push to grab market share with yet another big release of new models. We’ve already covered the CBR300 but the new CB(R)650Fs deserve a look at. If you remember the old CBR600F4, then the CBR650 will remind you of the days when 600 sport bikes had a modicum of practicality to them – somewhat comfortable seats, higher bars and rearset footpegs that are actually for the passenger, not the rider. Honda has boosted capacity a little from the old 600 and produced two versions – a sporty CBR and a semi-naked CB. Honda Canada hasn’t confirmed whether we’ll get either, but the CB would make a good replacement for the ailing CBF600 that is currently being listed on Honda Canada’s site with a hefty $2,500 discount, and the CBR is good competitor for the very similar Yamaha FZ6R and Suzuki GSX650F. The MT-07 looks fun, but likely won’t come to Nord America. But what of the mid-range twin class, currently occupied by Kawasaki’s 650 Versys or Suzuki’s Gladius? Enter Yamaha’s new MT-07. Yamaha continue to mess with other-than four cylinders with last year’s FZ-09 triple (known in Europe as the MT-07) and now this year’s new MT-07 inline twin (likely to be badged an FZ-07 if it comes here). Styling is similar to its FZ-09 bigger brother and at a claimed 178Kg wet it’s a good 25 kilos lighter than the competition. Alas, supposedly it’s not coming to North America, sigh. The new CTX1300 takes the ST1300′s motor and puts it into a cruiser chassis. Other new bikes include Honda’s CTX1300 cruiser-tourer that uses the aging but solid ST1300 motor in a CTX styled chassis and a bit of F6B thrown in for good measure. We’re not sure if the CTX styling is something that Honda should be adopting, but it’s an easy way to add a new tourer to the line up. Then there’s BMW’s naked S1000RR; the S1000R (losing one R with all the plastic) is BMW’s new streetfighter coming in with a whole lot of power and $3,000 less than its double R’d father (@$14,700). 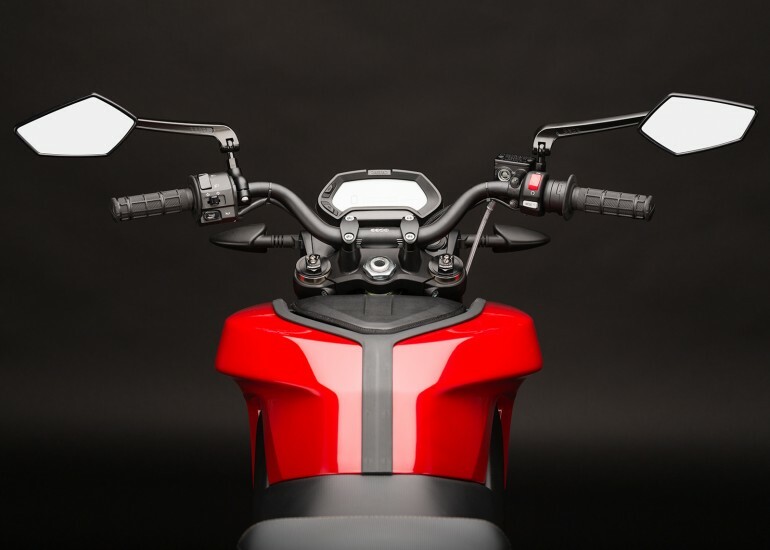 Keeping with sport bikes reinvented, Ducati released a new 1200 Monster onto the world that uses the Panigale’s 1198 cc Testastretta motor, replete with 135 hp (at 8,750 rpm) and 87 ft-lb of torque. Who needs fairings anyway? Here’s the new Turismo Veloce. It’s got adventure-touring lines. And finally, small but inventive Italian company MV Agusta seems to be finding their stride and launched a sport-touring Turismo Veloce. It uses the same three-cylinder 798 cc motor that MV Agusta has in the F3 800 and Rivale but comes with taller suspension and hard bags and is directed at bikes like Ducati’s Multistrada. The bike will be coming to Canada but may take a while to get here. Beijing-based workshop Bandit9 is pretty serious about its motorcycles. Following up on the Nero model released last year, the company has lifted the garage doors for a sleek upgrade onto the streets. Beautifully finished with a matte black paint, the bike features a custom-fit gas tank, handlebars, fork and footpegs, all of which are completely exposed to reinforce the raw, utilitarian aesthetic. Interested parties will want to submit their requests sooner rather than later, as the roaring machine is limited to nine models worldwide. Check out the Nero MKII on Bandit9′s website now. One of the most attractive parts of riding a motorcycle is standing out from the pack of minivans, subcompacts, and SUVs that dominate the roads — you want to look original, different, independent. And you'd be hard-pressed to find anything on two wheels that looks as distinct as the Bandit9 Nero MKII Motorcycle ($TBA). This completely custom ride is one of just nine models available, and looks so unique most people won't even understand what they're seeing. With a custom gas tank, rear cowl, handlebars, fork, and foot pegs, as well as the curved dual exhausts, exposed suspension, and completely matte black paint job, you're definitely bound to turn a few heads (and get a few jealous stares). 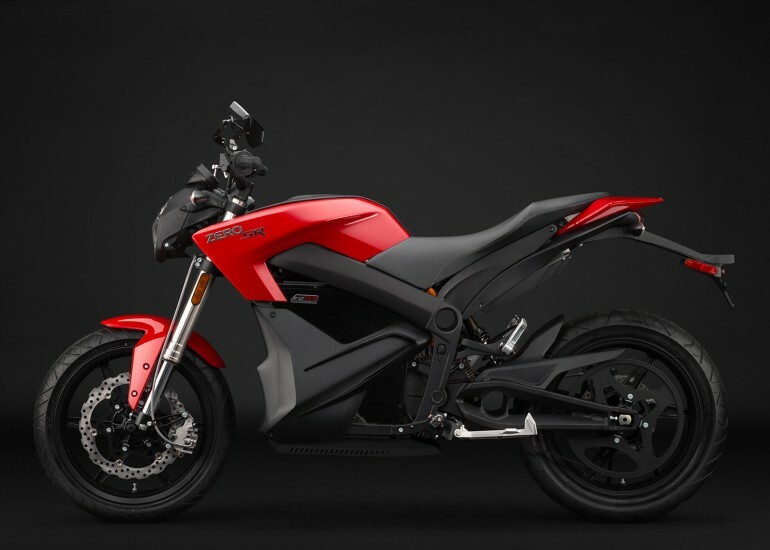 Can this new 2014 Zero SR banish memories of bicycle brakes and no-name tires? 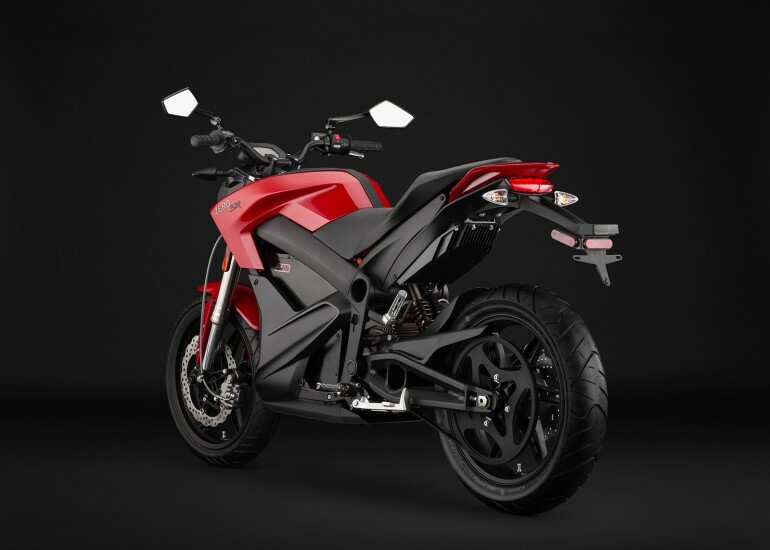 Now with serious acceleration, real motorcycle components and a genuinely useful range, this new Zero SR promises to be a good motorcycle, not just an electric one. Accelerating to 60 mph in just 3.3 seconds and topping out at 102 mph, this new 67 bhp Zero should be able to keep ahead of both city and highway traffic. As stock ($16,995) Zero claims the 11.4 kWh SR has a 93 mile range in combined city and highway riding. Adding the optional “Power Tank” takes capacity up to 14.2 kWh, which boosts that combined range to 116 miles. Stick to city speeds and the Power Tank-equipped SR can reach 171 miles. In other good news, real motorcycle forks, 43mm in diameter, are fitted for the first time. They’re adjustable for compression and rebound damping. The remote reservoir shocks are fully adjustable, but there’s no word on who makes either component. Looking closely at the tires, we do see an actual brand name on them. Unfortunately, that appears to be “IRC” and the model looks like “Road Winner.” If so, then these are the same non-radial, bias ply items fitted to the $3,999 Suzuki GW250. Still, that’s an actual motorcycle! Unlike arch-rival Brammo and its $16,995 Marzocchi/Sachs/Brembo-equipped and radial tire-fitted Empulse, the SR does without a gearbox, shedding weight and boosting efficiency. Using a standard 110v home outlet, recharging the stock SR will take eight hours, while the Power Tank takes that up to 10 hours total. Those numbers can drop as low as 1.5 hours if you can find a CHAdeMO quick charge station.